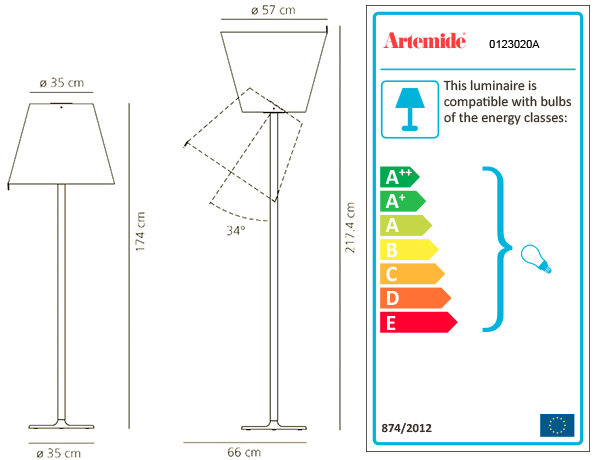 ARTEMIDE MELAMPO MEGA FLOOR is a floor lamp. Base in painted zamac; painted aluminium stem; diffuser in silk satin fabric on a plastic frame. Adjustable diffuser into three different positions. Bulbs not included, 1x150W Halo o 1x21W LED DIM (E27). Dimmer.